Anchovies aren’t for everybody. They’re greasy, smelly, salty and oily. Some people love them. Some people hate them. 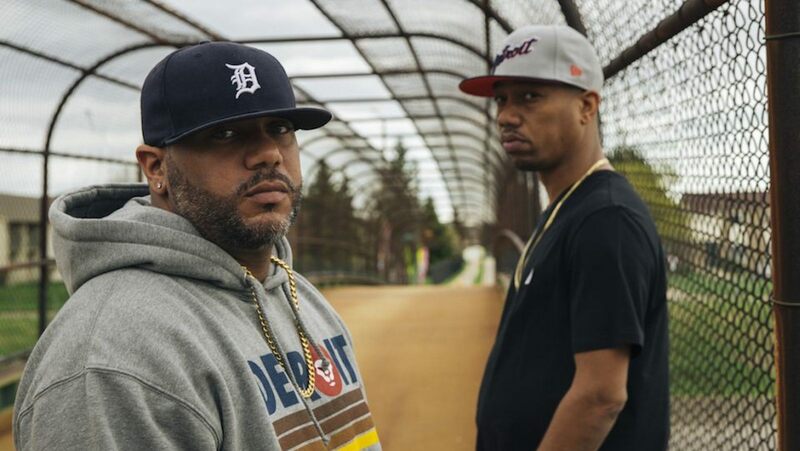 Apollo Brown & Planet Asia’s new collaboration album took inspiration from these polarizing fish and created a project that takes a certain palette to enjoy. Classic Hiphop meets minimalism and dusty vinyl on Anchovies. Cali Agents alum Planet Asia is as sharp as ever with his lyrical smithing. Apollo Brown’s style is evident behind the dust and grime of these smoky samples. The Detroit producer approached this album like a director would a movie. Apollo painstakingly laid out every detail of the project and knew what he wanted from the finished product. He knew that only one rapper could execute his vision. Enter Planet Asia. The West Coast legend was able to fit directly into the plan and bring his talents to the album, creating a perfect match. After Apollo Brown’s 2016 The Easy Truth debuted at #3 on the iTunes hiphop charts and #16 on Billboard, the underground veteran has returned with a project aimed at the most diehard fans with the most dirty sensibilities. Anchovies arrives everywhere on August 25, 2017 on Mello Music Group.